If you have a Body Mass Index of 28 and over & are over 18 years of age, then Alli slimming Capsules may be ideal for you. Alli will work to its full potential if you are ready to make the necessary lifestyle changes required to lose weight successfully. With the launch of Alli slimming pills, pharmacists are now able to provide the first and only non-prescription weight loss treatment licensed throughout Europe. Incorporating Alli in to a reduced calorie, lower fat diet helps customers lose 50% more weight. So for every 2lb you lose with your own healthy lifestyle changes, Alli can help you lose 1lb more. Alli Slimming Pills are clinically proven to work. The pills contain Orlistat 60mg, which is the active ingredient of the prescription slimming drug Xenical. As Alli contains Orlistat, but at 50% less strength when to Xenical, it has been deemed suitable to sell over the counter at pharmacies without a prescription. The prescription Xenical has been used successfully by many worldwide to help those who are considered to be obese lose weight successfully, which is why many experts trust the effects of Alli as they have confidence that the results will be similar. Excess fat can have a detrimental impact upon your health increasing your chances of suffering from: High blood pressure Diabetes Heart disease Stroke Certain types of cancer & osteoarthritis This is why maintaining a healthy weight is so important. It can help longevity, quality of life and self-esteem. Bear in mind, the Alli slimming pill is by no means a quick fix and should not be considered to be. If you believe this its likely you will not achieve your weight loss goals. 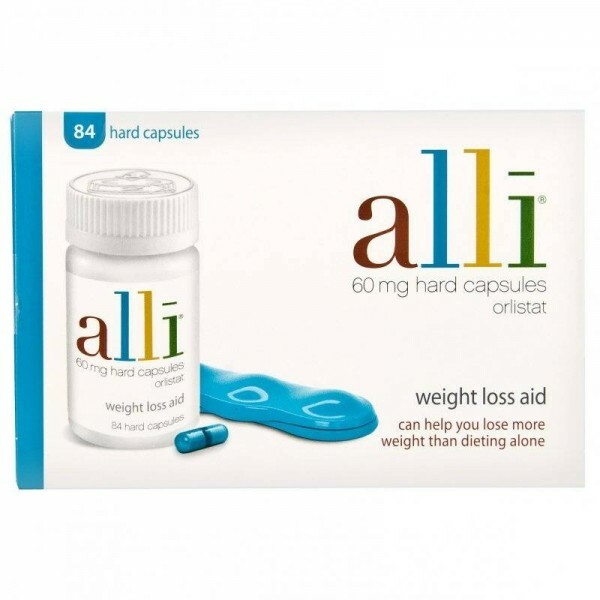 Alli Tablets specifically are for overweight people who realise there is no such thing as a miracle pill or diet and who accept that a healthy diet and physical activity are the foundations of weight loss and weight maintenance. In fact Alli only works when users are willing to make changes to their lifestyle habits and adopt a healthy diet. As seen in the Daily Mail October 2010 - Voted best non-prescription slimming tablet next to prescription only Xenical Alli contains the dose of Orlistat (the active ingredient in Xenical) making it an effective slimming aid that is available from your pharmacist. In this study, by Louise Atkinson, Daily Mail, Alli was compared to some of the top brands of slimming tablets on the market today including XLS & Formoline, both of which scored a 5/10, and Lipobind, which scored a disappointing 3/10. Alli, voted second best next to Xenical, scored 7/10 and Xenical itself 8/10 - the best score of the study. Alli is available to order online NOW from allgoodpharmacy, simply add to your basket and your order will be dispatched immediately! How Alli Slimming Capsules should be used? Alli is not a quick fix and only works in combination with a reduced calorie low fat diet. People should be advised to start a diet and increase their levels of activity before taking Alli. The right dose the recommended dose is one Alli capsule to be taken three times daily with each meal containing fat. This usually means one capsule at breakfast, lunch and dinner. No more than three 60mg capsules should be taken in 24 hours. If a dose is missed and it is less than an hour since the last meal time then the dose can be taken. However if more than an hour has elapsed since the last main meal, that capsule should be missed. You should take a multivitamin (containing vitamins A, D, E and K) once a day, at bedtime whilst taking Alli. Duration of use treatment with alli should not exceed 6 months. 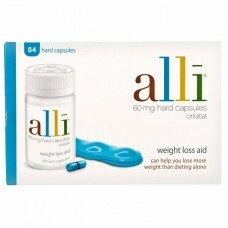 Alli Slimming Capsules contain: Active Ingredient: Orlistat 60mg. Inactive Ingredients: FD&C Blue No.2, edible ink, gelatin, iron oxide, microcrystalline cellulose povidone, sodium lauryl sulfate, sodium starch glycoate, talc, titanium dioxide. Alli Slimming Capsules Side Effects & Cautions: Allis most common side effects are diet related treatment effects that are largely manageable. These can include: Wind (flatulence), with or without oily spotting Sudden bowel motions Fatty or oily stools Soft stools Other common effects include; anxiety, abdominal pain, liquid stools, faecal incontinence and increased defecation, diverticulitis, hypersensitivity reactions, skin blistering, hepatitis, choleithiasis and mild rectal bleeding.